Once you’ve settled into your ultra-comfortable deep seating couch or settee the last thing you want to do is head to the kitchen for a fresh glass of tea. 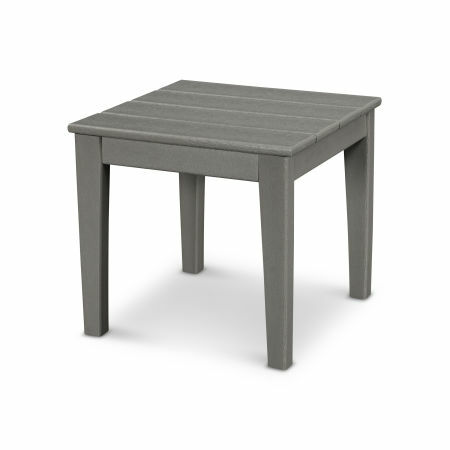 Accessorize your relaxation oasis with patio coffee tables and patio end tables for added convenience and functionality. 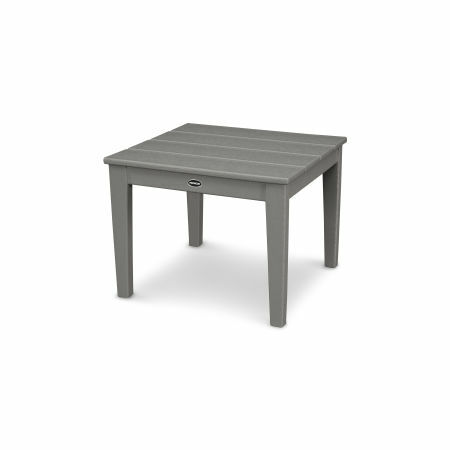 Deep seating outdoor coffee tables are specifically sized to match the height of each deep seating collection for maximum utility. 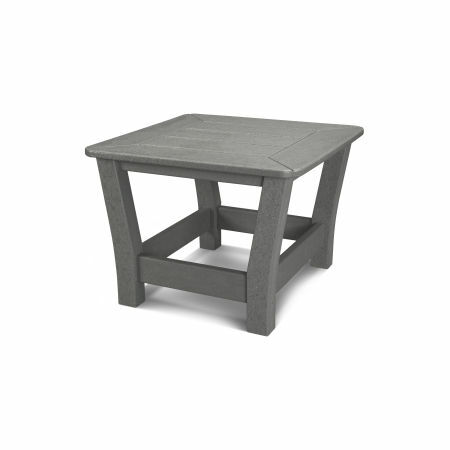 Choose between several contemporary outdoor end tables and coffee tables with elegant designs, high-quality HDPE lumber, and plenty of table space for all of your snacks, accessories, drinks, and reading material. 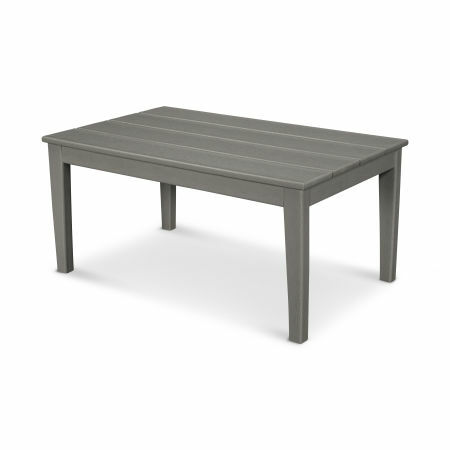 Choose between a variety of matching or contrasting color options without fear that your outdoor coffee tables or end tables will overwhelm your seating set or seem like an afterthought. 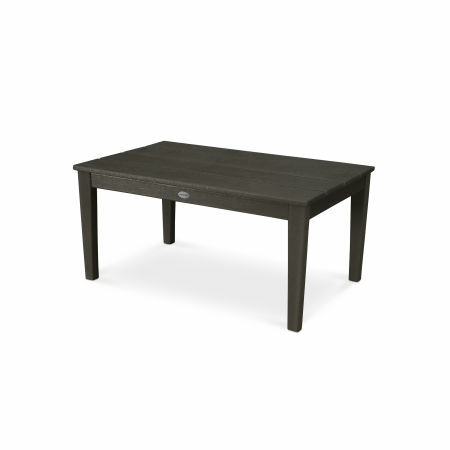 When you buy a deep seating coffee table or end table to complement your deep seating furniture, the size is always perfect and the design is seamless. 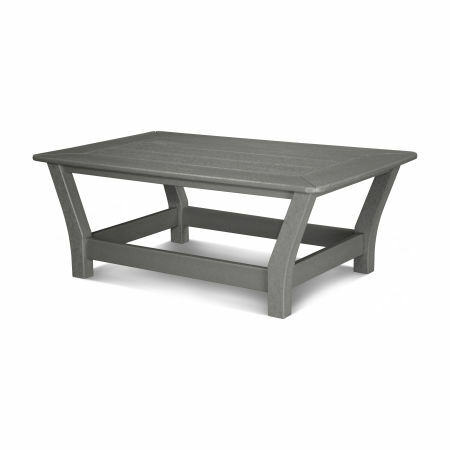 Constructed of durable HDPE lumber, POLYWOOD® outdoor coffee tables and end tables can withstand harsh weather conditions like heavy rains, oppressive heat, strong winds, and salty sea air without cracking, rotting, chipping, or peeling. Thanks to our Color-Stay Technology, the vibrant hues in our patio end tables and coffee tables will remain colorful afteryears of sun exposure. 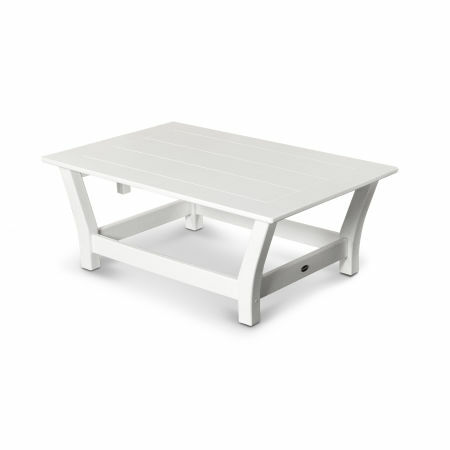 Designed to blend timeless charm with clean, contemporary lines, POLYWOOD deep seating coffee tables and end tables provide sturdy support for anything you want to bring outside and take only a few minutes to clean and maintain. In order to keep your end tables and coffee tables looking like new, simply mix warm water with gentle soap and wipe down your tables with a soft-bristle brush if grime builds up. Where to place that plate of ingredients for making s’mores after roasting a round of marshmallows around your fire pit table? On an outdoor end table, of course! Sit back and enjoy the gentle roar of the fire and the evening air while munching on some chocolatey, crunchy goodness. 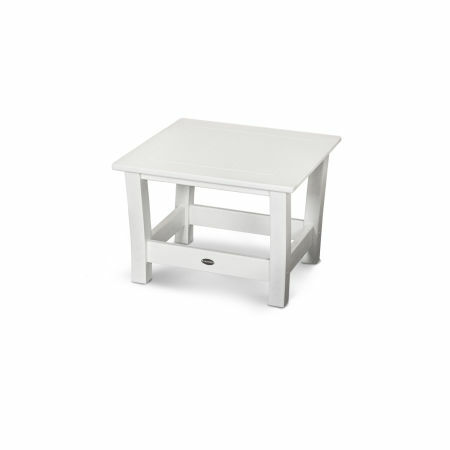 Your end tables can be cleaned with just a damp cloth if your kiddos drop some marshmallow goo while munching away. Enjoy a riveting game of poker or introduce Monopoly to your children while enjoying the plush comfort of your deep seating furniture set. A spacious patio coffee table provides more than enough room to gather around, throw some die, flip some cards, and share bowls full of snacks. 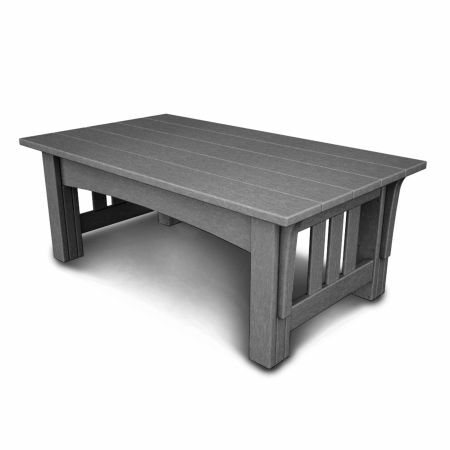 Your brand new patio coffee table or end table will elevate your enjoyment of your deep seating furniture, but the tables don’t need to be purely functional. Read our guide to learn multiple ways to style your outdoor table to impress guests and family alike.